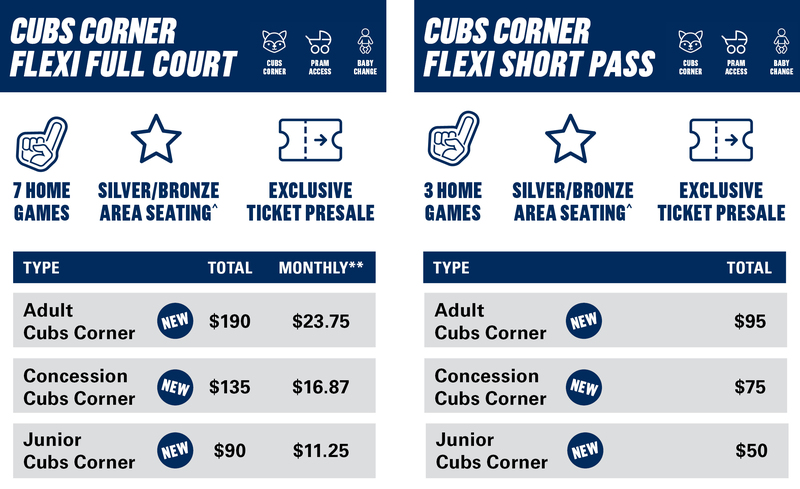 The Cubs Corner is a Flexi Membership option with a difference. It provides an area for parents with infants and toddlers to watch the netball, with all the crucial facilities! *Members will need to book seats for Cubs Corner for each match through Ticketek at no additional charge.